In today’s world of media-incited religious hatred, no faith should be used as a prop to attack another. The only product of your posting is to spread bigotry against Scientology, and if the press popularizes bigotry against one faith, whose faith will be next? Your article “What Does Scientology Believe in?” is the latest in a long series of bigoted, reprehensible and false pieces on my religion. It is uncalled for and does not conform with what I understand to be Christian decency. Let us, just for a moment, reverse roles and say hypothetically someone pens a piece on the Christian Post based on that article and its unchristian approach to others’ religiosity. I don’t think I need to belabor this. I am sure you get the point. 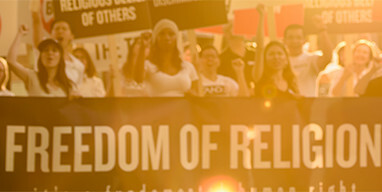 A strong principle in Scientology is to respect the religious beliefs of others. A world built on mutual respect and understanding can only lead to a saner and more divine environment. I recommend that you become a part of it, for it will only help all of us.